Musicals.Net - View topic - Stuff the movie got right? Stuff the movie got right? Okay, so we all know the movie was awful, but I was thinking, no film (or hardly any films) is so bad that absolutely everything was complete trash and no one would ever want to watch it. So was there anything about the Phantom film that people liked? These could include effects, character interpretations, casting, certain scenes etc. My only request for this thread is that there are no pointless posts which are trying to be funny eg "NOTHING! ", and that no one flames other people's opinions. 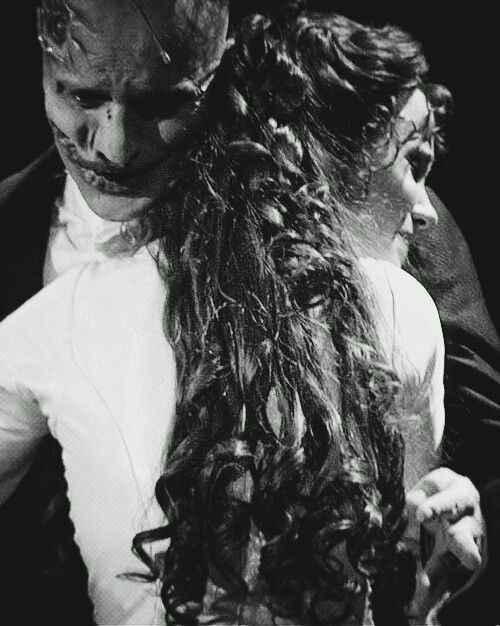 Just because they liked Butler as the Phantom and you didn't doesn't make their opinion any less valid than yours. (Although similarly, please keep fangirling/fanboying to a minimum as that does tend to provoke flamers). To start things off, I'll say that I enjoyed the transformation at the beginning with the restoration of the Opera House. It was just so smooth and it was great to see the whole backstage area. Current Obsession: Too many to list. Re: Stuff the movie got right? ^I will admit that was the one good thing I did like in the movie. That and I love hearing the movie in Spanish and Japanese because the singers are so much better and they really complement the great orchestra that they had for the movie. "A single dream is more powerful than a thousand realities." J.R.R. Tolkin. The supporting cast. The Managers, Meg, Piangi, even Madame Giry, although Miranda Richardson doesn't have the usual voice for the part. The combination of Minnie Driver and the dubbing voice for her also created a great Carlotta. Phew! Thank goodness people are taking this seriously I agree on the supporting cast thing (especially Simon Callow/Ciaran Hinds as the managers). Everything--especially casting Gerard Butler! He was PERFECT for the role!! Great movie. one of the best filmsuicals of ALL TIME!!! Christine's look (beautiful brunette with doe-brown eyes and pale skin), some of the costumes (but not all), Meg and Madame Giry, and the chandelier! Firm supporter of Cosette being a brunette, Eponine a redhead and Fantine a blonde. That's the way Victor Hugo wrote it, that's the way it is. I liked the added swordfight. I liked seeing Raoul show he's got a little fight in him. The French-dubbed Music of the Night is a treat, too! can work if it''s Brilliant! I liked the transition they did at the beginning with the chandelier and the black-and-white-to-color effect. I liked that they decided to take advantage of the many possibilities of film in that way, since that can't be translated the same way on stage. Moving the chandelier crash to the end of Don Juan. It heightened the stakes and gave more emotional "umph" that wasn't there in the stage version where Erik drags Christine off and murders Piangi. The orchestration was beautiful. The opening with the transformation and extended overture was also impressive. It lost me some time after that. Pardon my french.... I mean I'm really french. So don't hesitate to correct my mistakes ! And I do NOT eat frogs !